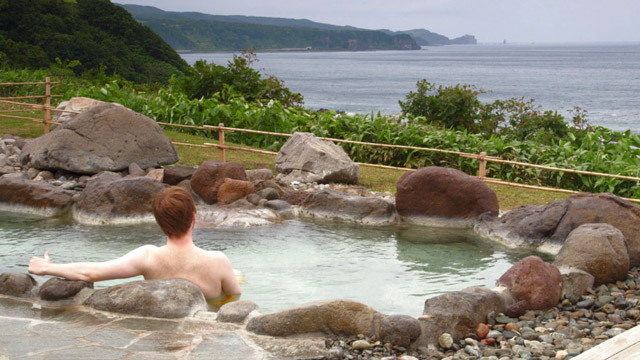 Chances are that if you find yourself in water in Hokkaido, it'll be at a hot spring (onsen). Hokkaido's onsens come in all shapes and sizes: The massive, picturesque, wild, and historic. They are not only ubiquitous, but also very affordable and impeccably clean. 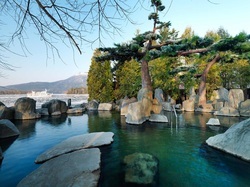 And if you're feeling too shy to bare it all at the onsen, remember the Japanese expression Ganbarre! (Try your best!). If you'd like to learn more about the Japanese onsen experience, check out the January entry on our HNT Blog. 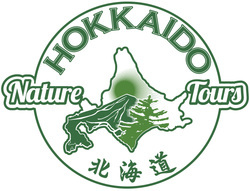 Hoheikyo hot springs boasts immaculate Japanese gardens, spacious outdoor baths, and a variety of indoor baths. The hot springs are not altered in any way from the underground source, so the health benefits of the calcium carbonate and iron minerals are even greater. There are also Indian and Japanese restaurants on-site overlooking the gardens. Located at the northern shore of Lake Shikotsu, Marukoma Onsen has fantastic lake views, pure hot springs water and beautiful grounds. This hot spring was founded in 1915 and has been largely unchanged since then. Beware, day-trippers are admitted only until 3pm daily. This behemoth hot springs hotel is full of superlatives: one of the largest in the world, one of the oldest in Hokkaido, and one of the most varied in mineral compositions. 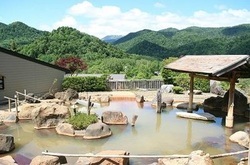 ​An onsen was first constructed on this site in Noboribetsu over 150 years ago, and today Dai-ichi boasts 5 different types of springs in over 30 indoor and outdoor pools. This locals' spot is hidden in the great forests at the base of Tokachidake, on the outskirts of Kamifurano in Central Hokkaido. The scalding waters are especially popular in winter, when the surrounding snow can be used to balance to temperatures to a more humane level. Fukiage Hot Springs make for a great detour on trips to Biei Blue Pond and Diasetsuzan Nat'l Park. 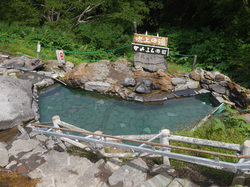 Not far from Niseko, Yumoto's Hot Springs are both abundant and of high quality. The male and female bathing areas alternate daily to share in added features such as an iron mineral bath and mud face-packs. The environment surrounding the onsen is serene and pristine, with short hikes in the nature easily accessible in every season. Situated on the shores of Lake Akan in eastern Hokkaido, the main baths at this onsen hotel are spectacular: immaculate gardens, secluded baths and stunning lake views. The 8th floor rooftop baths offer dramatic views of Lake Akan, Meakan Dake and Oakan Dake. This is a choice place to pass an afternoon in relaxation. Yes, that is not a misprint! 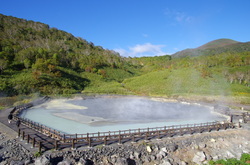 The Kamuiwakka Hot Falls derive from the Shiretoko-Iwo active volcano in the heart of Shiretoko National Park. 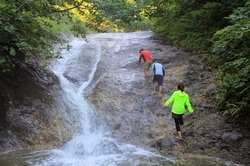 Visitors can climb part of the waterfall to find hidden hot springs pools above, but beware, there are no services in this secluded part of Shiretoko. There is shuttle bus access from the Visitor's Center a few kilometers away. Alternatively, reach the falls by private vehicle or on-foot. Misaki-no-Yu at Shakotan Peninsula makes for a great compliment to visiting the nearby Cape Kamui and limestone rock formations along the coast. This onsen overlooks the Sea of Japan, and on clear days the sunsets over the calm sea are unforgettable.